When a business’s vision is to be the most respected Internet company through enhancing people’s quality of life with Internet services, then developing a chat application that effortlessly connects people together was a challenge worth facing. Tencent, leader in mobile, Internet services and online advertising in China has met this challenge and brilliantly overcome it. 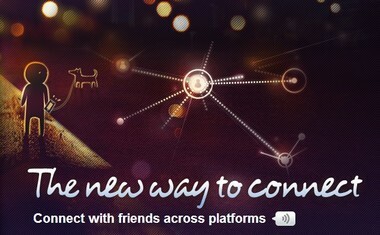 It has developed, the most interactive and all-encompassing free Chat application of the market. Imagine a chat application, with such an amazing interface and so many creative features, that it provides an extraordinary complete, mature and diversified experience for its users. Connecting with friends across the world has never been so fun, so easy and so versatile than with WeChat. At ModernLifeBlogs, our tech team loved it so much that we made it our preferred chat application for 2013! Take a look at what it offers and test it for yourself. You will love it! 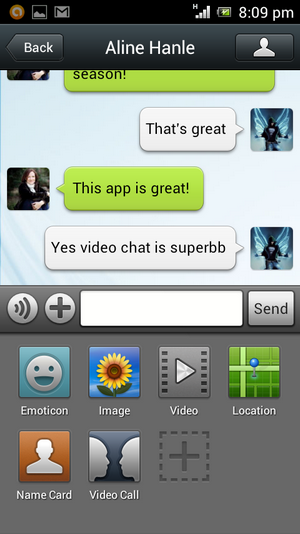 In the chat window, press “+” and select “Video Call”. Select “Social” -> “Moments”. Press camera to share photos with your friends. Like or Comment on your friends’ photos; tap on a comment to reply directly to it. Hold “Hold to Talk” to start recording a message. Release the button to send. While still holding down, you can move your finger up to the X button to discard and not send the voice message you are recording. Select the smiley button in the chat window. Select “Special” -> “+” to download emoticons from our online catalog or choose your own from your phone album. Open “Chats” and select the wand button at top right corner. Select contacts whom you’d like to join the group chat. You can add more friends to the group chat later. Select “Social” -> “Shake”. You will see a notice for new users. Shake needs to access your location data. Please make sure you have both enabled Location Services from your iPhone’s Settings menu and that WeChat has been granted permission in the Location Services sub-menu. Shake your phone to find people shaking their phones as well. Choose someone from “people found” and “Send Greeting” to make friends. Select “Social” -> “Look Around” to find people using WeChat with Look Around enabled nearby. Choose one and “Send Greeting” to make friends. Select “Social” -> “Drift Bottle”. (note: you may need to enable Drift Bottle from “Settings”->”Plug-ins” first in order to see it) Select “Throw” to send out your voice or text message, then wait to see you will pick up your bottle and reply. Scan this QR code with your mobile phone, or open wechatapp.com on your mobile browser, to download WeChat.